Apple season is just around the corner and fall is quickly approaching. 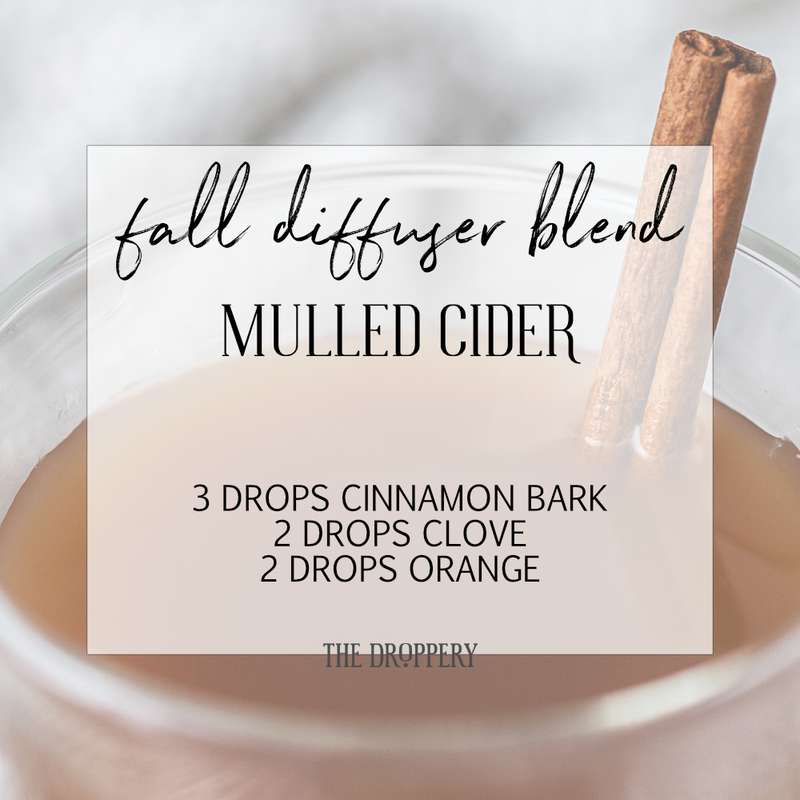 This takes everything I love about apple cider, but adds the creaminess of nutmilk and flavor intensity of essential oils! This is crisp, refreshing, and delicious! I like to use hazelnut or pecan milk, but almond milk or even coconut milk would also work well! If you don't have a juicer, you could throw these ingredients into a blender instead. I have ALL THE FEELS for this collection! My daily routine for the last week has been changed up to include these six oils and my emotions are so much better for it! Fact --> I straight up did *not* buy into the whole oils & emotions thing at first. I thought it was a joke. What's funny is that the oil that really drew me into using oils was Stress Away. I was dealing with anxiety and panic attacks, and that little bottle became a refuge every night. Even having felt the incredible calm Stress Away brought on, I just couldn't accept that feelings and oils belonged together. Until I learned a little fact. 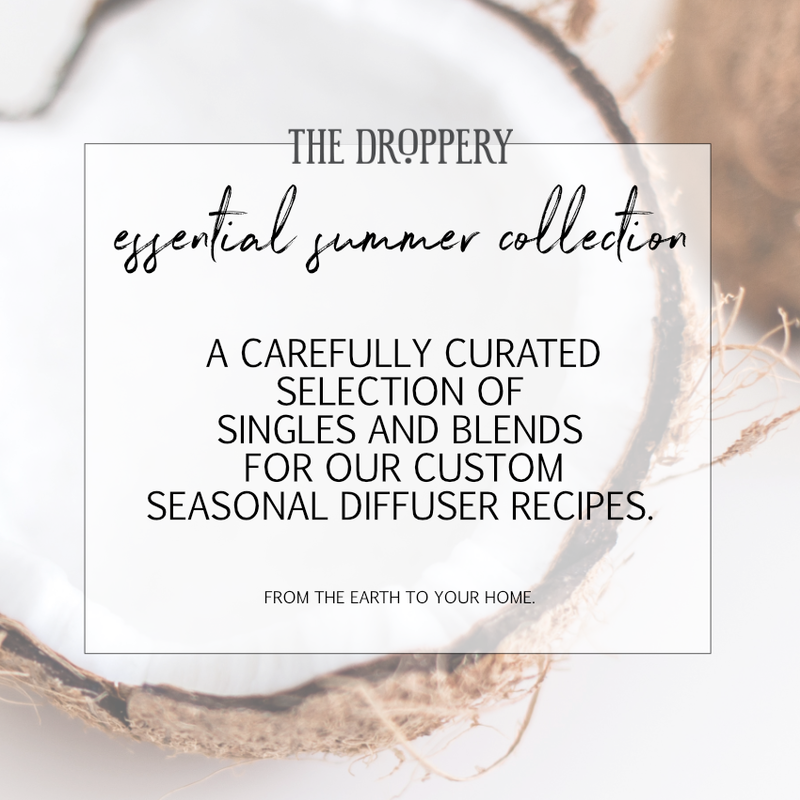 This collection comes with six very carefully selected and blended oils all in one incredible kit to use for 30 days in a row to restore balance and peace in your emotions! I have been applying these per the Feelings Protocol every day for the last week and have already felt an incredible shift. My highs are lower, and my lows are higher. Everything is just a little more smoothed out! I’ve noticed that the couple days I forgot to do it after my morning shower, I could tell! I was so much more irritated and down when I forgot. That is how drinking NingXia Red was for me at first. I loved the way I felt when I used it, but I *really* noticed how great it made me feel when I went without and felt blah. People have a tendency to carry around a whole lot of extra emotional baggage. This protocol helps us gently let go of all of that. If you're ready to jump in and start feeling more balanced emotionally, get your Feelings Kit and find a cozy, quiet place. You may want to grab this free printable of the feelings protocol to keep with your kit! You are about to find a whole new level of inner peace and happiness! I’m so excited for you. Just click this text to access your printout out and you’ll be ready to go! For each blend we apply, we will say an affirmation. It's all about intention. When we say an affirmation as we apply our oil, we are putting an intention into the action to release or gain something. As we repeat the affirmation over several applications, we will create a scent memory and start to associate that oil with the intention we set. Over time we can actually create a new belief system in our mind that moves us toward a positive emotional state. This new belief system can eventually override old, destructive belief systems and patterns that are holding us back in life. Alright, you've got your printout, a quiet place, and your oils. Let's do this thing! VALOR was formulated to balance energies and instill courage, confidence, and self-esteem. It helps support the body in self-correcting balance and alignment. It is the ultimate primer for using any other emotional oil. Apply Valor to the bottom of your feet and shoulders, then cup over your mouth and breath in deeply while saying aloud or thinking your affirmation. We are all meant to have balance and harmony throughout our body. We have seven energy centers in our body, which can become unbalanced when we are experiencing negative emotions. When this happens, we are more susceptible to illness and to more negativity. HARMONY was formulated to create a harmonic balance for the energy centers of the body. This helps bring us into harmony with all things, people, and cycles of life, It is beneficial in reducing stress, amplifying well-being, and dissipating feelings of discord. It is also uplifting and elevating to the mind, creating a positive attitude. Apply to the seven energy centers of the body as you think or say your affirmation. These centers are the tailbone, 2" below the belly button, 2" above the belly button, over the heart, the throat or back of the neck, the forehead, and the crown (top of head). Wondering about this whole "energy center" thing? It can sound pretty out there at first. Learn more about the science of frequencies and energy in our bodies HERE. Forgiveness doesn't excuse their behavior. It prevents their behavior from destroying your heart. It's a gift you give yourself. Lack of forgiveness doesn't harm the other person, but it does make us sick. To forgive is an act of self-love. FORGIVENESS has a high electrical frequency that helps release hurt feelings and negative emotions so one can forgive, let go, and move on! Apply a drop or two to your belly button and massage in a clockwise motion while saying or thinking your affirmation. 1. Forgive yourself for allowing the other person to affect your health and happiness. 3. Give the other person permission to forgive you. 4. See the good in the situation. 5. Be thankful for the experience and the wisdom you gained from it. Most of our organs are connected to an emotion. The liver is connected to anger.Negative energy goes into the blood and then to the liver for cleansing, where toxins can be trapped. Thus, the liver becomes a storage place for anger, resentment, bitterness, hatred, jealousy, envy, addictions, and a host of destructive emotions. RELEASE is a helpful blend to release anger and memory trauma from the liver in order to create emotional well-being. It helps open the subconscious mind to release deep-seated emotion. 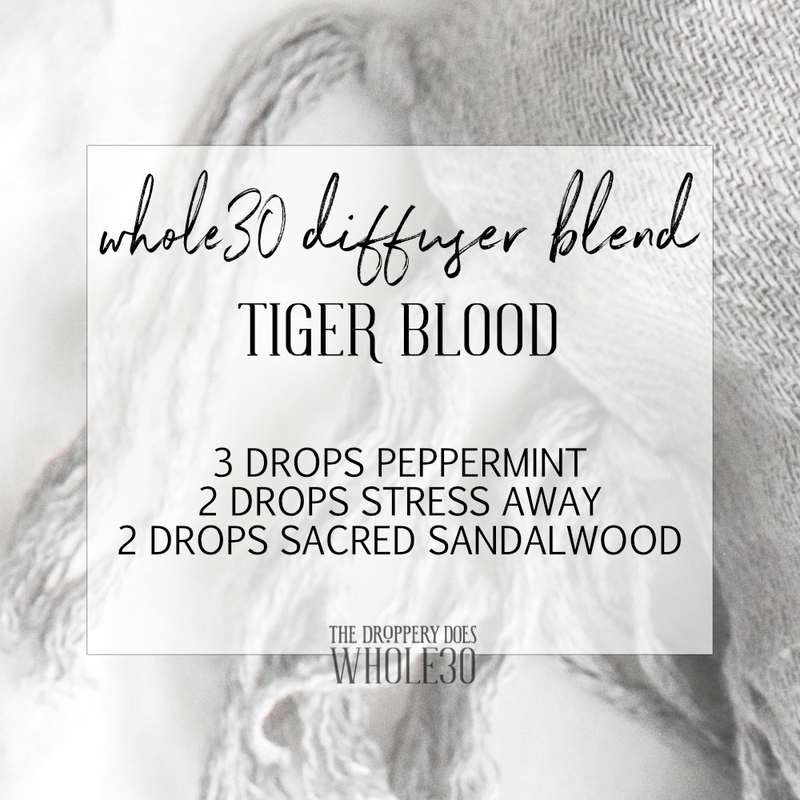 It is one of the most powerful emotionally supporting essential oil blends. Freedom comes from being at peace, rather than harboring negative emotions. Knowing that negativity can be stored in the liver causing issues with your health and well-being, it is important to release negativity intentionally. Rub Release over your liver area and be sure to follow with extra water to assist in detoxing the body of toxic emotions while saying or thinking your affirmation. The majority of people are unaware of the correlation between their anger and the effect it has on their liver because they don’t understand the depth of the connection. The state of the liver is actually fundamental to how we will feel the emotion, which could directly shape how we will act or react to what life dishes out. By adding lemon vitality to our water each day, we aid in a gentle detox. Also, doing the Cleansing Trio once or twice a year can help to clear out negativity you may be storing. When we live in the past or dwell on the future, we are not being productive in the present. A world of opportunities presents itself when we can live in the now. Being present is a skill that we can improve upon through practice. Set aside 5 minutes each day, apply or diffuser your Present Time and/or Frankincense, and sit quietly with your breath. Thoughts or ideas will come up and when they do you can just acknowledge them and release them. As you practice this, you'll find it easier and easier to find a quiet mind and peace in the moment. PRESENT TIME is an empowering blend that creates a feeling of being in the moment. Disease develops when we live in the past with regret. Being in the present time is key to progressing and moving forward. Apply to the wrist and behind the ears OR over the throat while saying or thinking your affirmation. Trust your intuition in deciding which way to apply. We are all born knowing exactly who we are. As we have negative experiences or traumatic events happen, we can lose parts of ourselves. Feelings of shame and confusion surface as a result and can be a great hindrance in adolescence and into adulthood. In fact, this is often what leads to a midlife crisis. Inner Child can help you access your creativity and your inner child and authentic self. It can also be very helpful for children who have had a troubled past or who are going through a difficult time emotionally. INNER CHILD may stimulate memory response, helping one reconnect with their true identity. This is an essential step to achieving emotional balance. Apply one drop of Inner Child around the navel and under the nose while saying or thinking your affirmation. After you finish the final step in the protocol, allow yourself some time to relax and unwind. Be gentle with yourself as you shift into a new normal emotionally. If you feel like you need to do this protocol multiple times throughout the day, feel free! I've done it 3-4 times on occasion. You may or may not feel big dramatic shifts all of a sudden. Whether you do or you don't, it's okay. Some people slowly relax into a new state one day at a time, while others experience a big release some days. Either way, by following this protocol every day for 30 days, you will be able to make some big changes in a gentle way. Also, you may consider keeping a journal of your thoughts, emotions, and experiences as you go through the process. It's amazing how in hindsight we can truly see just how far we've come. Happy oiling, friends! Here's to feeling our absolute best and operating at our highest potential! One of the best parts about summer is the DAY TRIPS! We load up the car, with all of our gear, and head off to make some great memories! The problem is, people are filling their summer bags with ILLNESS. They are spraying themselves with SO many toxins just to enjoy their time outside without coming in burnt or bitten. It's completely unnecessary and detrimental to their health. Luckily, we have some amazing and safe options that really work! Let's chat really quick about why we avoid DEET. It's kind of a BIG deal. Young Living's Insect Repellant has ZERO DEET. It is also free from parabens, fillers, phthalates, petrochemicals, animal-derived ingredients, synthetic preservatives, synthetic fragrances, and synthetic colorants. Also, those NANO PARTICLES in most natural sunscreen have been called the asbestos of the 20th century! They are microscopic and known to irritate the lungs and wreak havoc on our body systems, potentially even causing cancer. Young LIving's Mineral Sunscreen has only non-nano particle zinc oxide alongside plant and mineral-based ingredients that truly protect our bodies without harm. Does your sunscreen and bug spray actually BENEFIT your body while it does its job? Cause mine does! You get 24% off ALL of these things, along with the hundreds of other clean-living, essential-oil infused products Young Living offers by getting yourself a Premium Starter Kit! If you're still grabbing your summer essentials at the grocery store, it's time to get *better* ingredients without leaving your house! Boots, scarves, pumpkin everything, and all the warm, comforting essential oils. These are the fall oils you'll want to have in your collection. 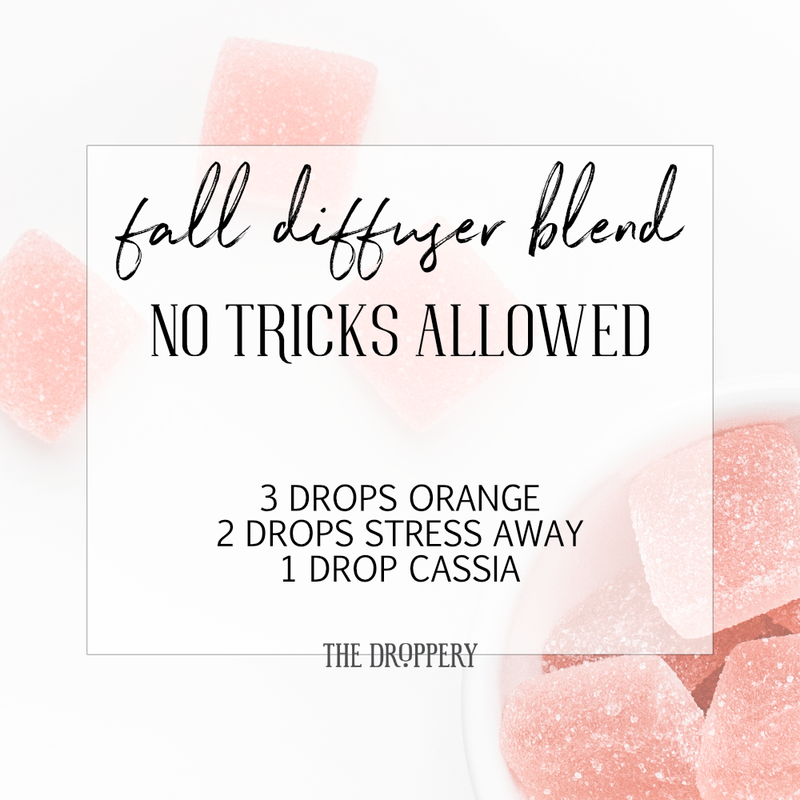 They are so good in the diffuser and almost any combo will be amazing. They also carry into winter seamlessly and will fill your home with festive, delicious smells! 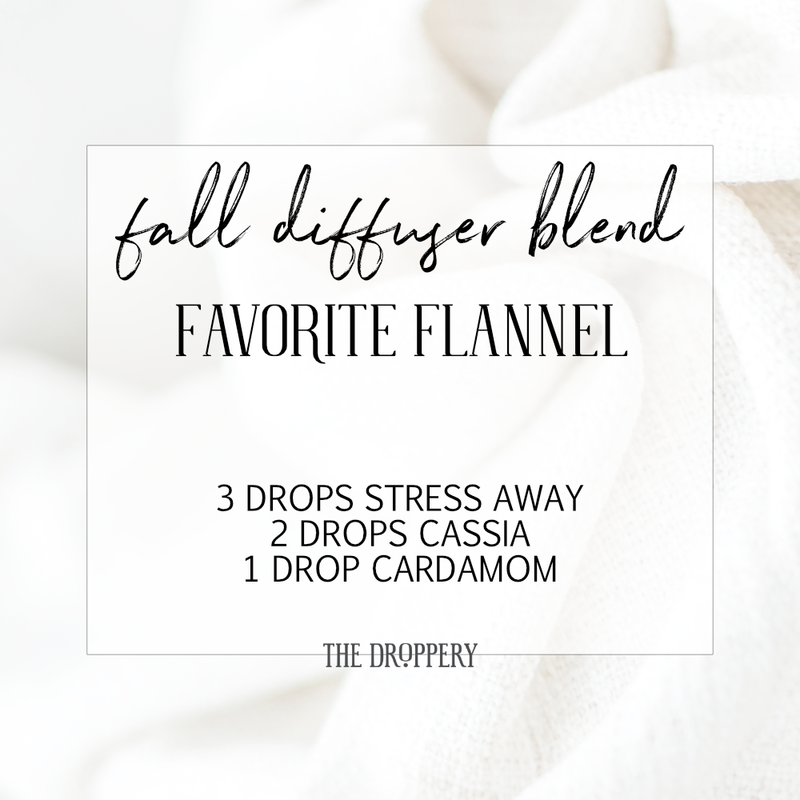 YOUR FAVORITE SCARF MAKES A LOVELY DIFFUSER FOR ANY OF THESE OILS OR COMBINATIONS. 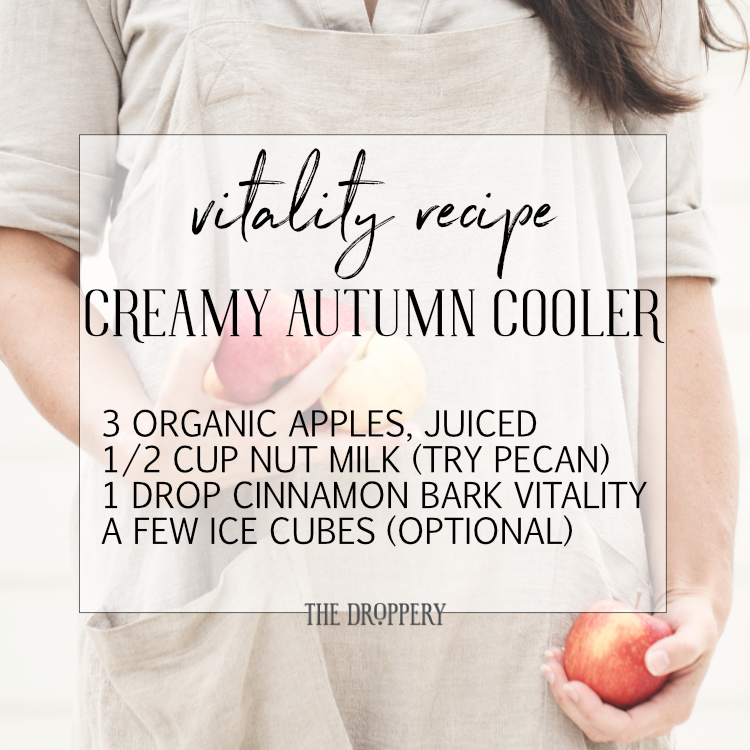 USE A DROP OR TWO OF THE VITALITY OILS IN PLACE OF DRIED HERBS IN YOUR FAVORITE FALL RECIPES (PIES, SOUPS, MULLED CIDER, ETC.). THE DIFFERENCE IS CRAZY! 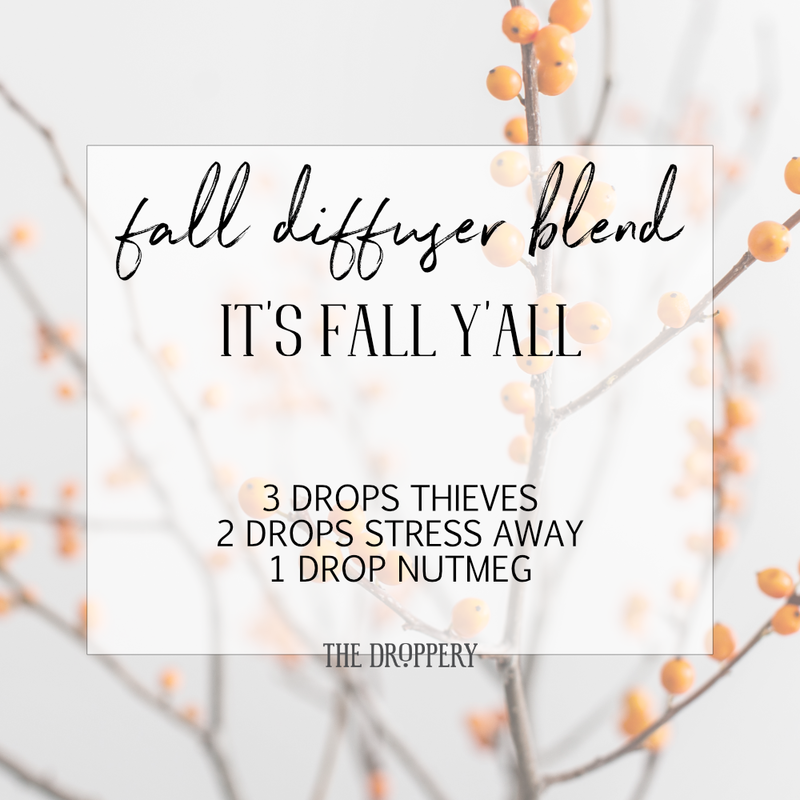 MOST OF THESE OILS ARE VERY SUPPORTIVE OF THE IMMUNE SYSTEM AND STAYING ABOVE THE WELLNESS LINE THIS SEASON. ** You can swap cassia out for Cinnamon Bark if you haven't yet purchased the Oils of Ancient Scripture Collection that has Cassia in it. That said, you NEED Cassia - there really is no other oil quite like it! 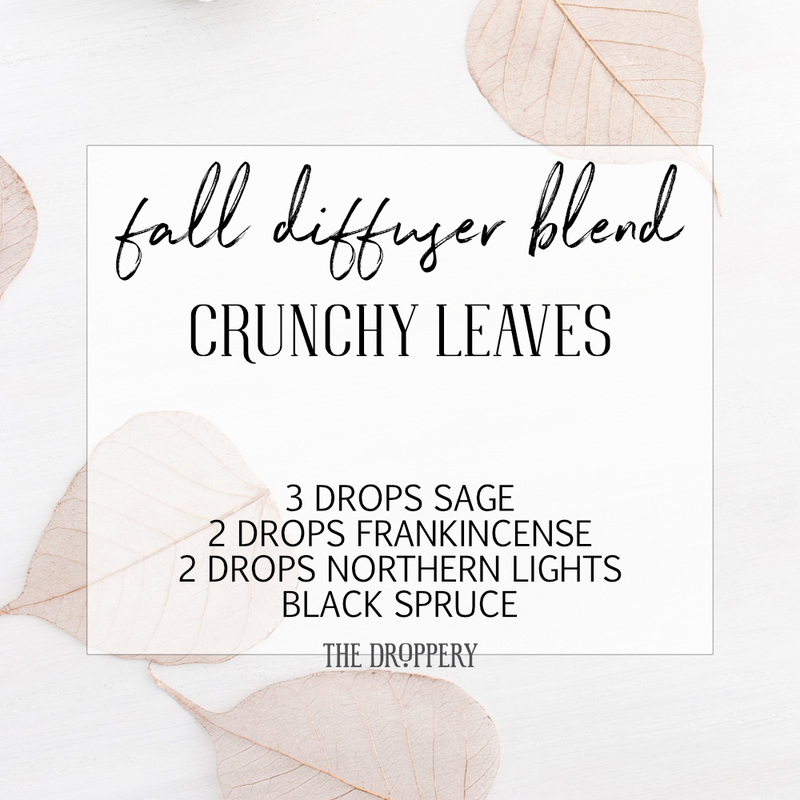 These blends are great for the diffuser, making linen or room sprays, or even roll-on scents. There are endless combos and smells you can come up with using these oils. Try mixing them with oils you already have in your collection, too! 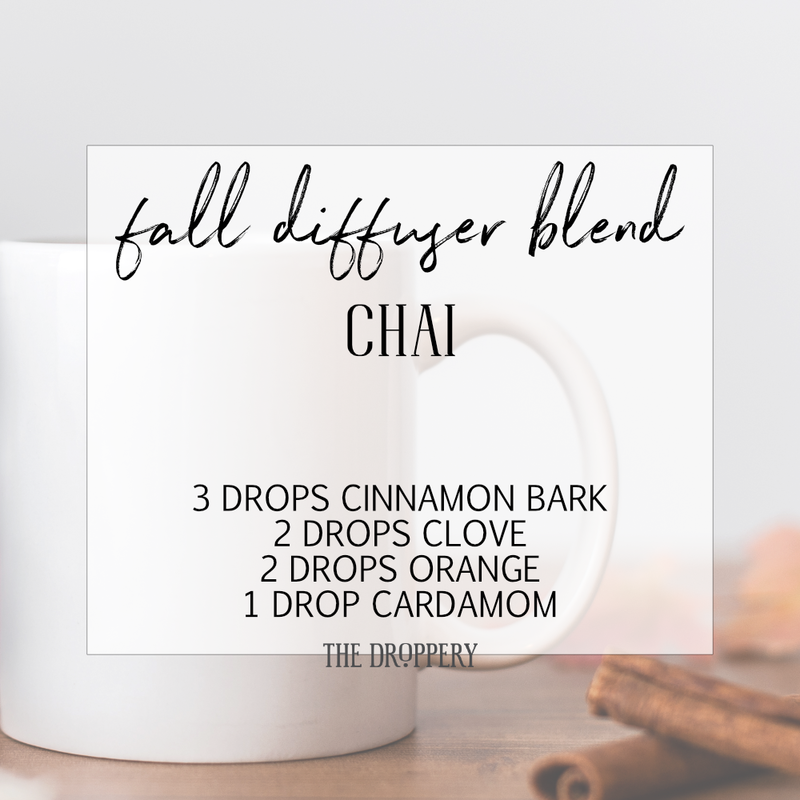 Sacred Frankincense, Sandalwood, or Myrrh smell really nice with these warm, spicy, fall scents. 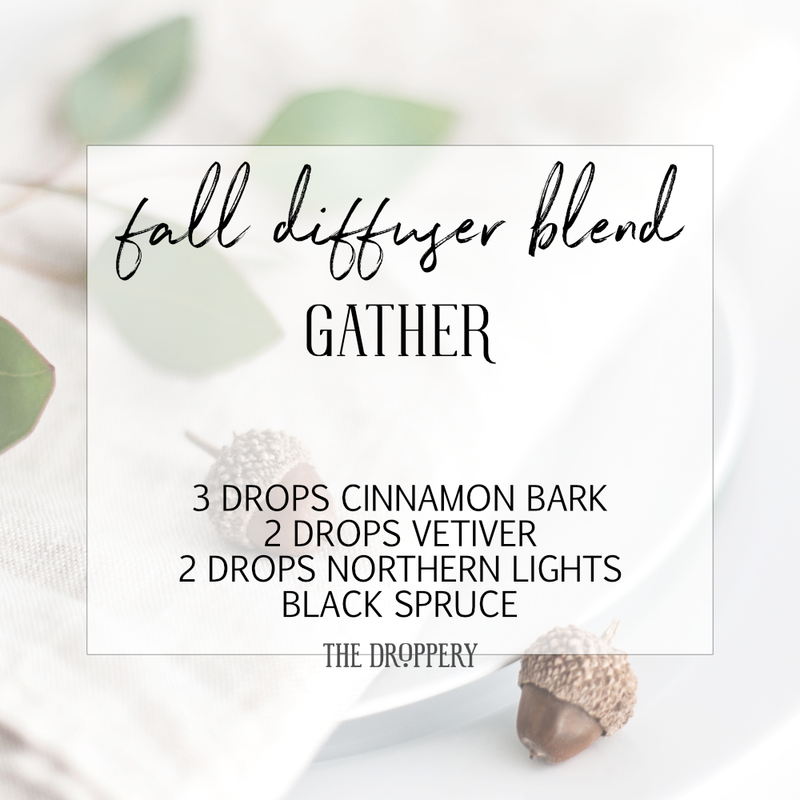 Maybe even play around with adding a floral scent into the mix and see how you like it! There's no wrong combination! Time to bust out the flip flops and sundresses! The sun is shining, vacation is on the calendar, and it is time to soak in all the summer fun! 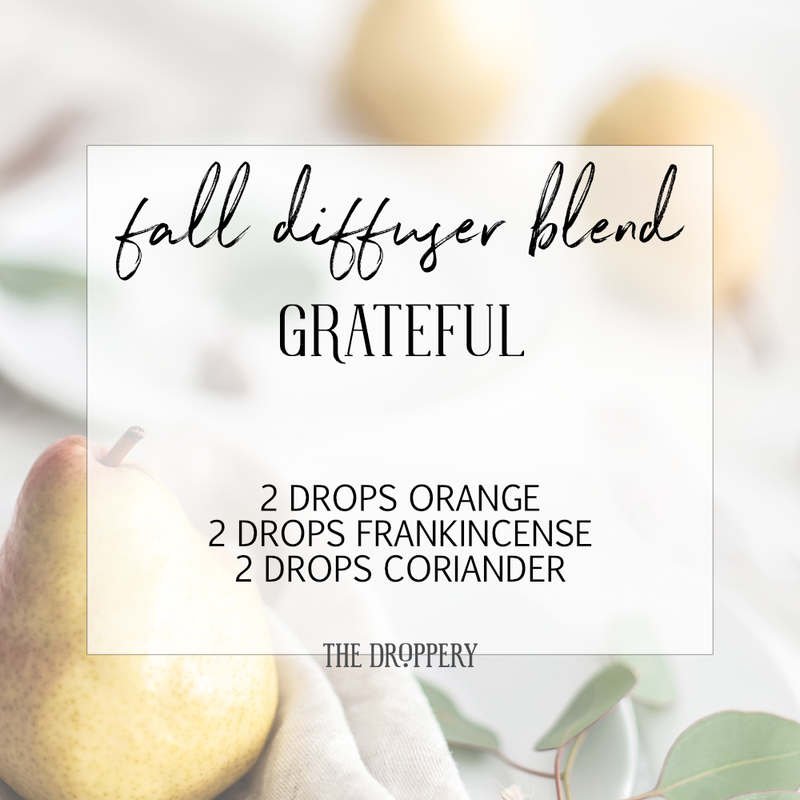 YOUR FAVORITE LIGHTWEIGHT SCARF OR THE BRIM OF A SUNHAT MAKES A LOVELY DIFFUSER FOR ANY OF THESE OILS OR COMBINATIONS. ADD A FEW DROPS OF PEPPERMINT TO THE BACK OF YOUR NECK OR CARRY IN A SPRAY BOTTLE FOR AN INSTANT COOLDOWN. MANY OF THESE OILS ARE VERY SUPPORTIVE OF FEELING ENERGIZED AND EMOTIONALLY CENTERED. PERFECT FOR WHATEVER LIFE THROWS AT YOU. Have fun with these blends. 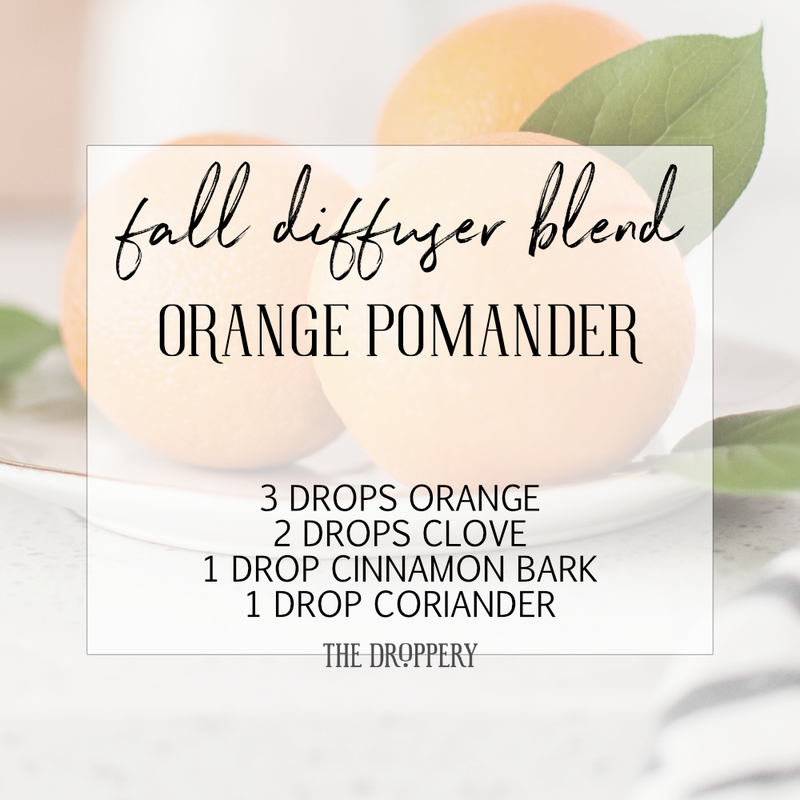 Try swapping the different florals or citrus oils out for another - for instance, try tangerine in place of orange, or jasmine in place of neroli. It's hard to know where to begin a story that has been unfolding my whole life. When our health unravels, we have to pause and dig through past chapters to start seeing where the undoing began. There are certain moments that leave us changed and transformed. In those moments, we become more of who we were always meant to be. Most of these moments happen without us realizing the gravity and importance they carry for our story. It's in hindsight that we see the weight they carry. So let me begin with the day I sat in the doctor's office and felt my mind go blank as he cooly informed me that I had Hashimoto's (autoimmune thyroid disease), that there was no cure, and that there was nothing he could do for me. My thyroid had nodules and was slowly killing itself. He could remove it eventually or kill it off faster with radiation. He said thyroid meds wouldn't help, so there was no point. I walked out of his office with a Rx for a beta-blocker to address my racing pulse and heart palpitations with strict instructions not just to go off of it once I began taking it - I never filled it. I was crushed. I felt helpless and powerless and couldn't understand how we'd gotten to this point. Mostly though, I was angry! My youngest daughter at the time was 1 year old and had just been diagnosed with asthma, and given the same life-sentence with no hope for freedom from inhalers, ER visits, and illness. I felt like I'd failed her as a mother. How did we get here? That was the day I became a warrior. I drove home with tears in my eyes and a rage in my soul. I made a decision that day that I would stop at *nothing* to reclaim our wellness! I would not accept this life sentence and a life of Rx meds. The year leading up to that day had been so incredibly hard. Quincy was our third child and they were all 22 months apart. Growing and nurturing all these beautiful little people had taken it's toll on my body. I was tired. When she was 8 weeks old, we all caught a cold. It came and went for the rest of us, but Quincy was only getting worse and seemed to be having some trouble breathing. We made our way to the doctor and within 2 minutes of walking into the exam room, we were sent to the hospital to be admitted. She had a terrible case of RSV and I was so scared. We spent 3 long days in the hospital getting poked and prodded, doing breathing treatments, and waiting for her breathing to normalize. It didn't. We were eventually sent home with a nebulizer and bags full of meds. I found myself sleeping less and less as I stayed awake to watch her breathe - I was never able to get her breathing under control and I was never able to relax. Fear never left my mind. I began to notice that things would happen that should bring me joy and I wasn't feeling anything. I was numb. I was a whole new kind of tired that surpassed any exhaustion I'd felt through pregnancy or even when my oldest kept me up all night for months with colic. I started noticing my heart would race and skip beats. My chest was always tight and I felt like I'd had too much coffee all the time. More fear. I was sure something was wrong with my heart. I worried I was depressed. I didn't know what to do. We were in the middle of packing to move from Mississippi to California (our 8th move in 7 years) and I was busy around the clock. One night, I had just given Quincy her breathing treatment and started to drift to sleep, when suddenly a tingle shot up my left arm, my chest got so tight it was like being squeezed, and I started convulsing, eventually passing out. When I came to, I was more afraid than I've ever been in my life. I literally ran down the hall to escape the fear. I knew I was dying. An ambulance came and within 10 minutes, it became clear to me that I wasn't having a heart attack. I was having a panic attack. I was so confused and so ashamed. Anxiety, depression, panic attacks... these were not things I had EVER dealt with before. I didn't even recognize myself. Over the next year, I went to more doctors appointments and a few doctors and nurses tossed around ideas that I may need to go on antidepressants or that it could be my thyroid. My thyroid panel came back normal though and I refused to go on meds for depression. Quincy's asthma only got worse when we arrived in California. We were living in Lemoore, where the air quality was as bad as could be, and she spent most of the year in a cycle of getting sick, spending a lot of time in the ER, and getting admitted for days at a time when her oxygen saturation dropped dangerously low. My anxiety and panic attacks continued to plague me and my hair began to fall out to the point that I was sure I was going to be bald. I'd had postpartum hair loss - this was so much worse. My eyes hurt all the time and so did my throat. My joints were sore, my shoulder would freeze, and I felt like I was falling apart. Finally, I asked my doctor to do a *full* thyroid panel and we saw my antibodies were high. She sent me to an endocrinologist and the next week I had my life sentence. Hashimoto's. I didn't see it then, but that diagnosis put me on a path to healing. I knew where to start digging and began reading *everything* I could get my hands on about autoimmune disease and Hashimoto's. Most of what I found echoed what the doctor had told me... but then there were those stories of healing. THOSE were the stories I began to search for. Those were the stories that would eventually light the way. Laundry rooms are likely the most toxic room in our homes. Dryer sheets are the worst. Because they are designed to stay on the clothes, rather than be rinsed off, we are left living our lives clothed in toxic chemicals. Here's a tricky bit: Manufacturers are actually not required to list all ingredients. So, even if you *think* you are making a good choice, you may still be getting the very ingredients you wished to avoid. It's hard to be an informed consumer when you aren't actually being informed. You may unknowingly be tucking your babies into a sea of toxins at night. DRYER BALLS are the new dryer sheets. Just toss 3-5 dryer balls in with your clothes. 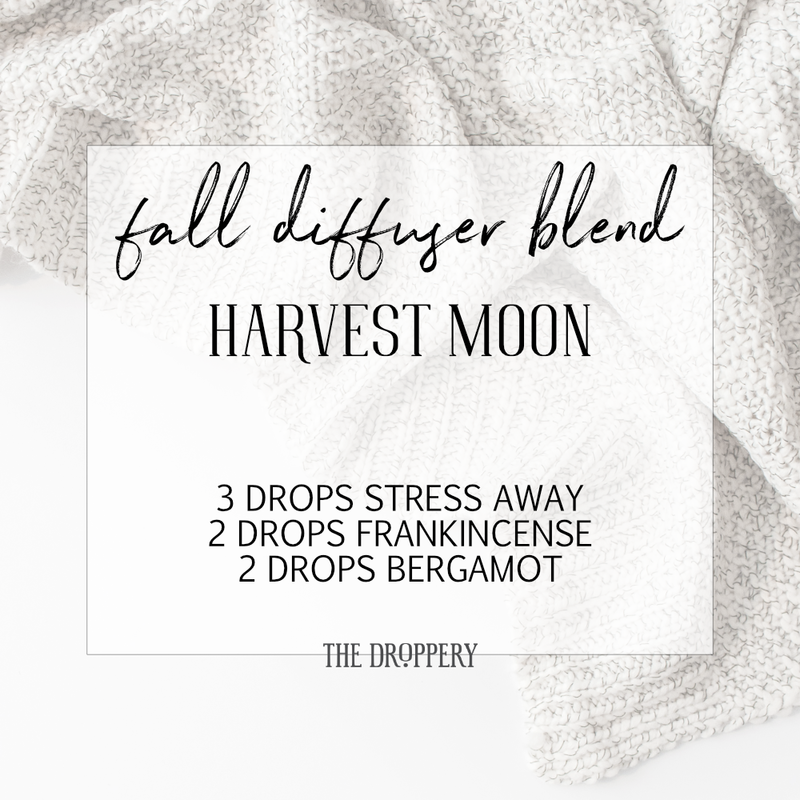 If you want to infuse your clothes or linens with aromatherapeutic benefits, just drop a few drops of your favorite oil on the ball. + Tea Tree or Purification are both great for defunking and refreshing clothes! + Lavender or Stress Away are nice for bedsheets or baby clothes. + Orange and Joy together for an uplifting summer scent. + Eucalyptus Radiata or Raven for towels to add a spa-vibe to your bathroom. + Lemon Myrtle because it smells like nature's candy. Seriously. If you don't have oily yet, the Premium Starter Kit is the best way to get started! You'll instantly have 11 oils, a diffuser, a 24% off member price, and a tribe full of encouragers! A year from today, you'll wish you began today. Spring Cleaning is in full force over here and I am taking a few extra steps to protect some of our nicer wood pieces. 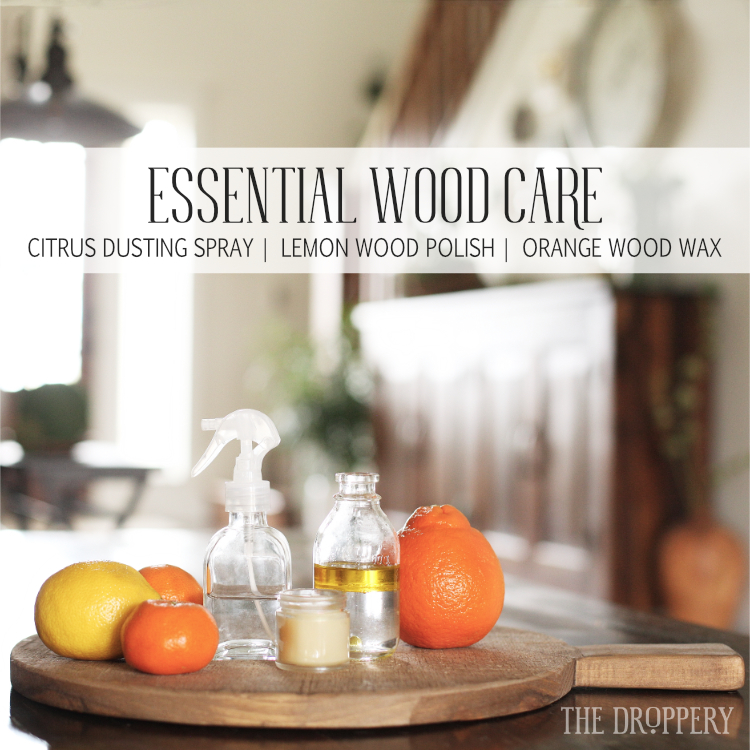 Citrus Oils are the perfect companion for wood furniture and there is no reason to reach for toxic furniture care products when it is SO easy to make on your own. MIX TOGETHER ALL INGREDIENTS IN A GLASS SPRAY BOTTLE. SPRAY ON FURNITURE IN NEED OF CLEANING AND FOLLOW BEHIND WITH A DRY, SOFT CLOTH. STIR ALL YOUR INGREDIENTS TOGETHER IN A GLASS CONTAINER (essential oils and plastic don’t mix). SHAKE BEFORE USING THEN USE A SOFT CLOTH AND RUB ONTO WOOD IN CIRCULAR MOTIONS UNTIL NICELY POLISHED. LET BEESWAX AND WALNUT OIL MELT TOGETHER OVER LOW HEAT IN A SMALL POT. POUR INTO GLASS OR METAL JAR AND STIR IN ORANGE ESSENTIAL OIL. LET COOL. USE THIS EVERY MONTH OR TWO AFTER CLEANING TO KEEP YOUR WOOD FURNITURE WELL PROTECTED AND CONDITIONED. Frankincense. 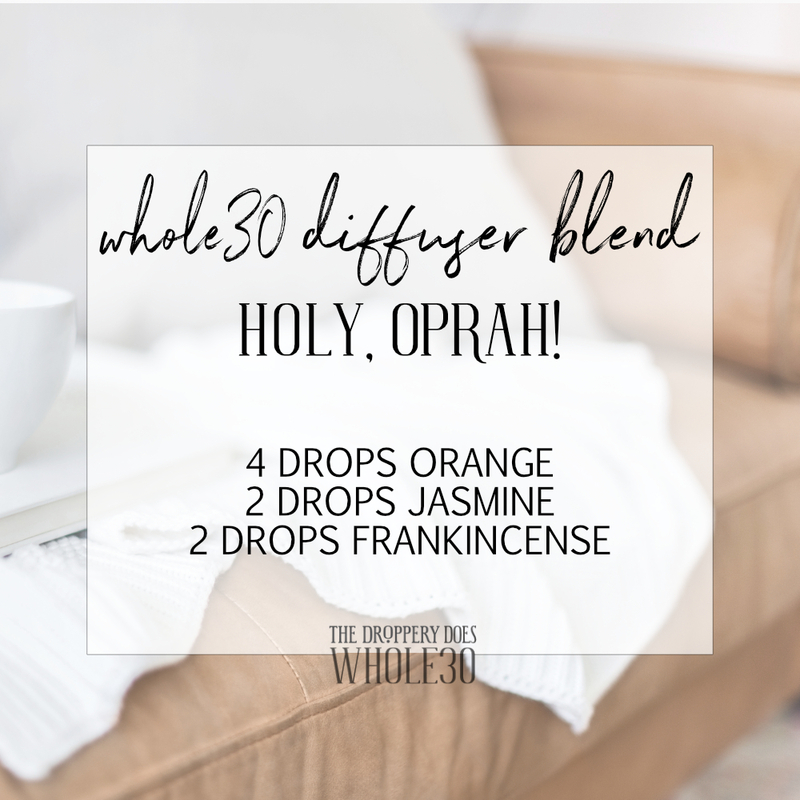 It is one of the most popular essential oils and one that many of us fondly refer to simply as Frank. We love Frank and give a whole lotta franks about it. Frank is a jack-of-all-trades and we find ourselves reaching for it many times each day! Versatile is the name of the game here! Did you know that there are over 50 biblical references to Frankincense? This amazing resin has long been considered more precious than gold, which is why it was one of the gifts given by the three wise men at the birth of Jesus Christ. But here’s where things get a little tricky! There are a few different varieties of Frankincense to choose from! Which one do you choose? Let’s clear things up! FRANKINCENSE | AROMATIC & TOPICAL – A wonderful way to enhance prayer and meditaiton, as well as your yoga practice.. Known for its ability to promote and support healthy skin, as well as for its everyday calming properties. FRANKINCENSE VITALITY | INTERNAL – This is specifically for use as a supplement to support a healthy immune system and overall wellness. SACRED FRANKINCENSE | AROMATIC & TOPICAL – Used primarily to create a heightened sense of spiritual awareness, and for moments of deep, personal meditation. Want more details? 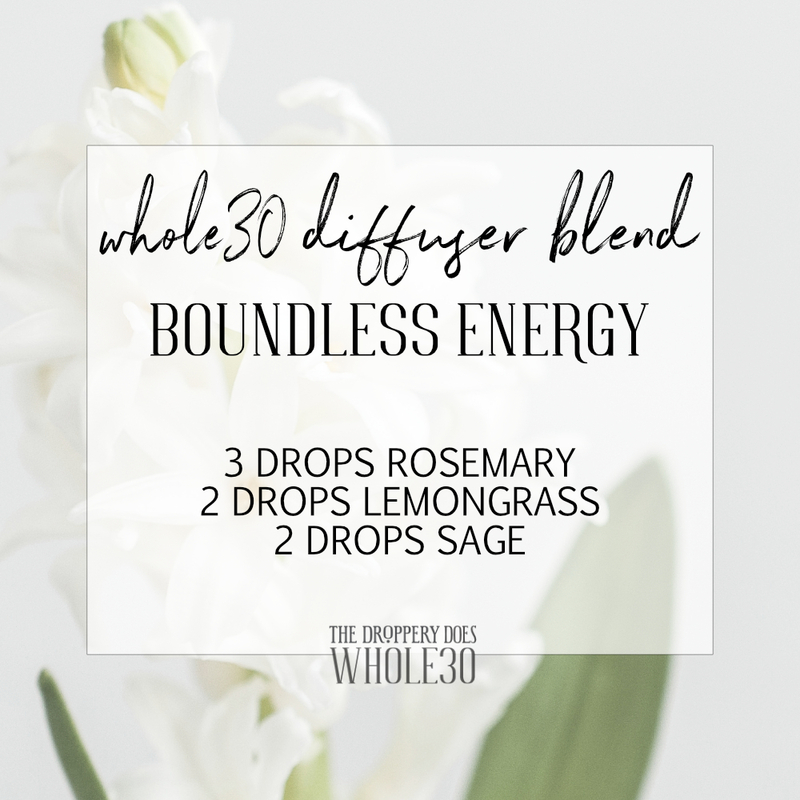 Read on for lots information on each of these amazing essential oils and to see some favorite uses for Frank! Diffuse during prayer or meditation to find your sense of grounding and purpose. Use for a massage after activity such as workouts, athletic events, or just a long day. Add to your favorite moisturizers to smooth and refine your already radiant look. We think Frank pairs nicely with our BODY BUTTER or SILKY LOTION BASE. Abundance™, Awaken™, Brain Power™, Forgiveness™, and Highest Potential™. Oola Balance™, Valor™ essential oils, and Boswellia Wrinkle Cream™, amongst others! It’s no surprise that Frankincense has been sought after since ancient times. The name “frankincense” is derived from the Medieval French word for “real incense” and has long been used as a “holy anointing oil” in the Middle East. The complex aroma of this oil can elevate many aspects of your life. Frankincense essential oil has an earthy, uplifting aroma that’s perfect for grounding and spiritual connectedness, as well as to find your focus and collect your thoughts. In addition to elevated spiritual experiences, Frankincense can also help you maintain radiant skin. Its ability to smooth the look of healthy skin makes this oil a great choice for adding to your beauty routine! With an amazing ability to support a healthy immune system, normal cell function, and brain health, it’s a great one to use every day. When our immune system is properly supported and strong, illnesses have a much more difficult time sneaking in! Frankincense can also be very supportive of the respiratory system and helpful for loosening muscles. It is definitely one to keep stocked! Support your well-being and normal cell health by taking internally as a dietary supplement. Just add 1–2 drops to an empty capsule and take with a glass of water or drop into your daily shot of NinXia Red. Distilled from the resin of trees in the Boswellia carterii tree family, Frankincense Vitality™ oil contains the naturally occurring constituent alpha-pinene, which is what gives it its distinctively rich, balsamic scent. Known for its unmistakably complex, sweet, and woodsy flavor and aroma, the benefits of Frankincense Vitality essential oil go far beyond its taste and smell. It also supports well-being and normal cellular health when taken internally. 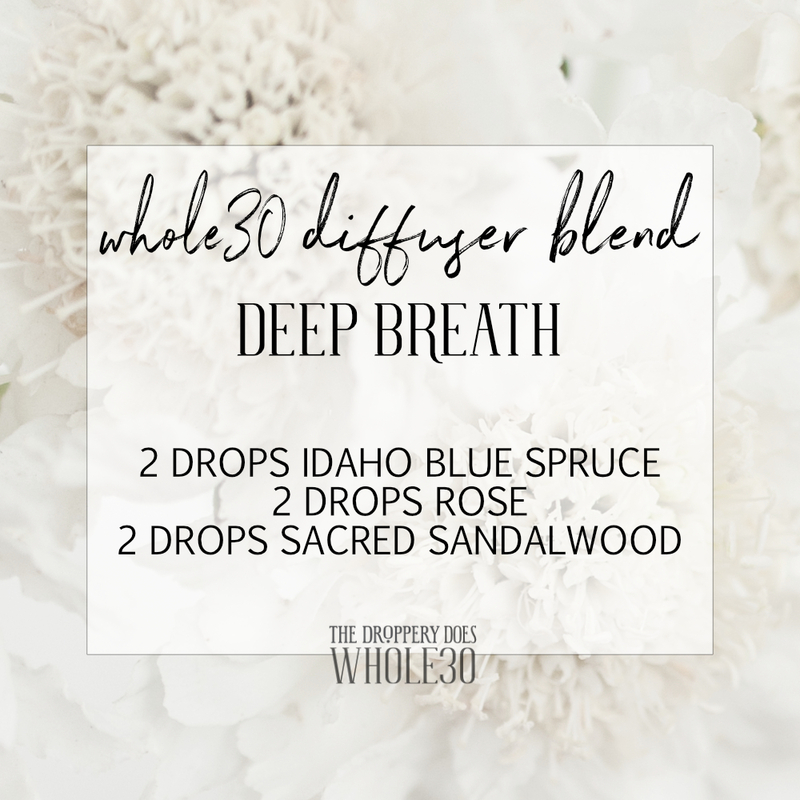 Diffuse 5-8 drops in your diffuser during prayer, meditation, or yoga to deepen your connection. Drop a few drops into the palms of your hands, cup over your mouth and nose and inhale deeply for several minutes to promote a calm, steady mood and increased focus. Try this before prayer, meditation, or yoga. Apply with a carrier oil to the skin to support cellular health and healthy immune function. Freedom Sleep™ and Freedom Release™ Collections, Common Sense™, RutaVaLa™, Progessence™ Plus, and Trasformation™ essential oils, and ART® Sheerlumé Brightening Cream, amongst others. Sacred Frankincense is a Young Living exclusive essential oil, as Young Living is the first and ONLY curator of Omani Frankincense, aside from Omani citizens and Saudi royalty. After 15 years of research and 15 trips to Oman to meet and negotiate with Omani officials, Gary Young was granted permission to build an on-site distillery in the country and to export this amazing oil out of Oman. Young Living has contracted with local harvesters to secure our supply of Omani resin. This marks the first time any Westerners have been able to experience the unique spiritual properties of Sacred Frankincense oil! Sacred Frankincense is regarded all over the world as the rarest, most sought-after aromatic in existence. Sacred Frankincense essential oil supports and maintains the appearance of healthy-looking skin, and has a grounding, uplifting, and inspiring aroma. Sacred Frankincense includes the naturally occurring constituents alpha-pinene, limonene, and boswellic acid. Google those and you’ll learn all sorts of amazing things! HOW ARE THE DROPPERY MEMBERS USING THEIR FRANK? “I use it mixed with Argan oil every day as my facial moisturizer. I’ve come to LOVE the smell of it!” – H.W. “…on my forehead when I want an extra focus boost while working!” -J.V. “I make my moms ‘wellness capsule’ that includes a drop or two of frank.” -K.B. “I start and end my day with Frank. 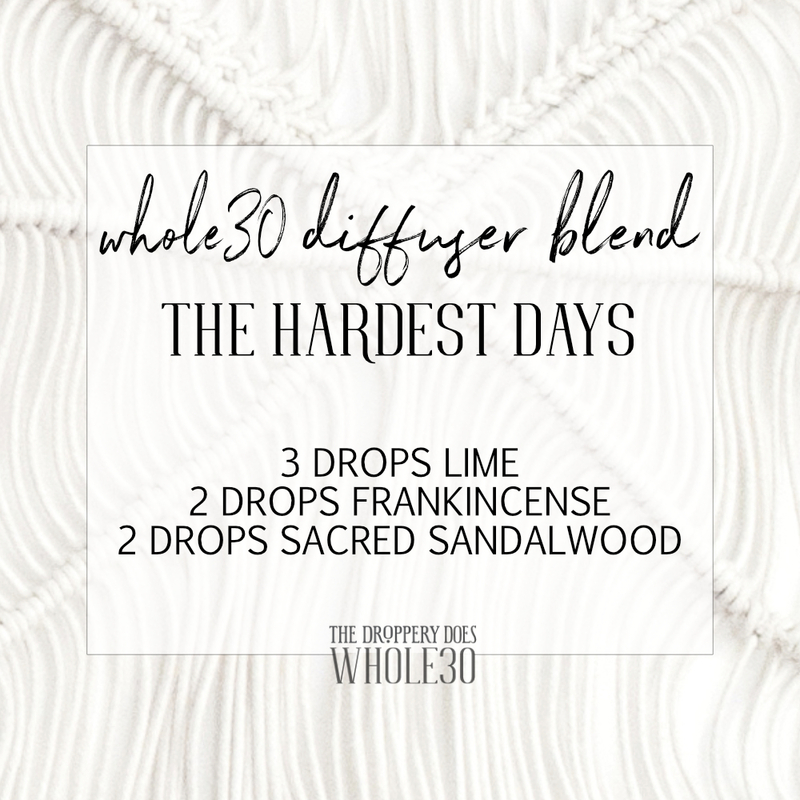 I diffuse Frankincense in the morning with Lemon for a confident and focused boost to start my day! I also use it in Argan oil with Myrrh for my evening moisturizer.” – M.P. “I had my baby about 4 months ago, it was mixed with P&C as a back and foot rub, we used it to anoint baby C with a prayer and blessing.” -M.L. “I call it my “overnight facelift”… when I’m not getting good sleep (hello, teething!) it’s my go-to for looking a little bit more awake.” -L.M. 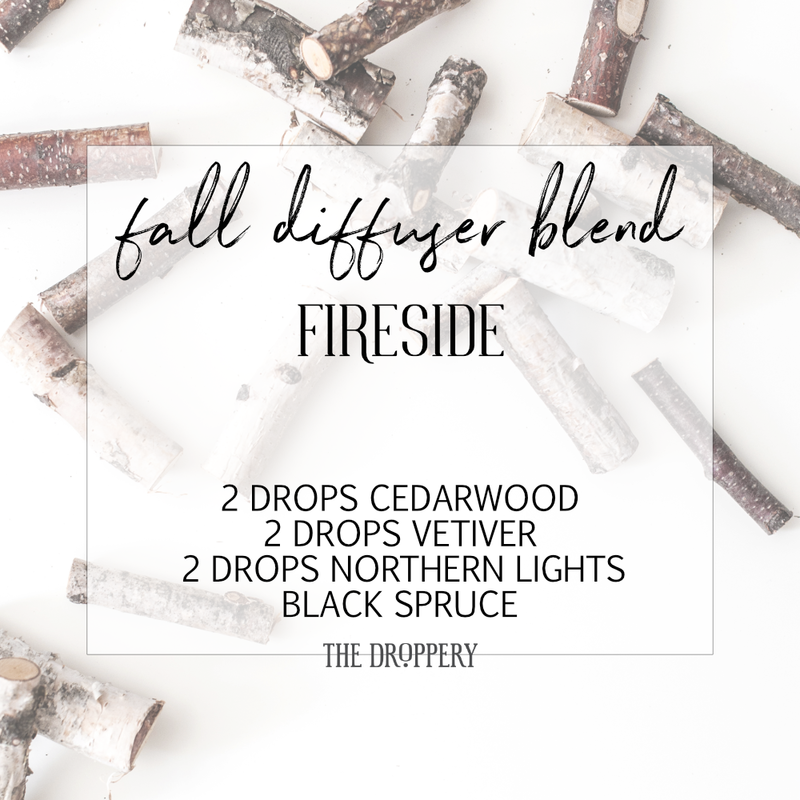 “I like to diffuse for unwinding after work. Love the smell!” -R.W. “I use frank in my face cream for night (frank + lavender + whipped coconut oil! ), and across my forehead whenever I’m feeling a bit unfocused at work. Does the trick RIGHT away and everyone walks by going “oooh what’s that smell??? !” -C.C. As you can see the possibilities with Frank are endless! This one oil on its own makes the PREMIUM STARTER KIT worth it! So, which Frank is your favorite? What is YOUR favorite use? We've all heard the quote "Let thy food by thy medicine and thy medicine be thy food." We all know that what we eat dictates how we feel and look. Life is so busy, though. We are going non-stop and taking care of others to our own deficit. There have been a couple of times in my life that I've seen a HUGE shift in my overall wellbeing. One was when I went from eating a standard American diet, to eating Paleo just after I was diagnosed with Hashimoto's and was desperate to feel better! I changed my diet, added in oils, and felt drastically better within a month. The second was last October during my first Whole30! By the end, I had more energy than I'd had in years, my skin was glowing, my hair was shinier, my waist had shrunk, I'd lost 14 pounds, and I was sleeping like a baby. I am HOOKED and do a round every 3 months now. Without fail, eating with intention will transform your life! It doesn't have to be complicated. Simple is key. 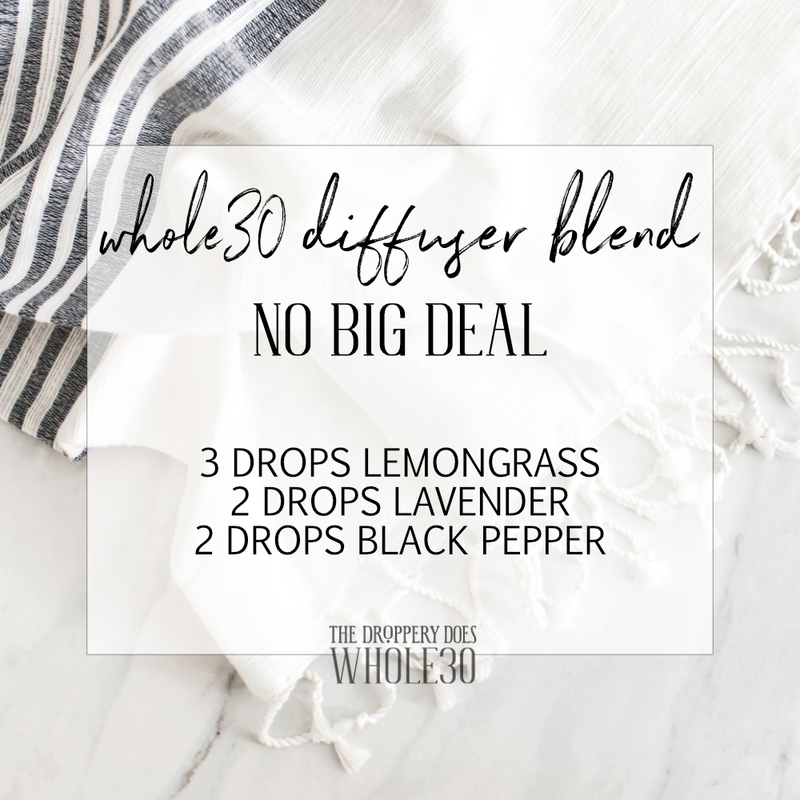 To me, our food choices go hand-in-hand with using essential oils and clearing toxins out of our lives. It's a lifestyle choice that is always worth the effort. We are not about perfection - just about learning to make better choices with our food and encouraging each other to push past our comfort zones within our relationship with food. This is for EVERYONE and I would love to have you join us! Invite your friends and come hang out! You do *not* have to be a member of The Droppery. The Droppery Does Whole30 runs every January, April, July, and October. Jump in for one of them or all of them! You are worth feeling your best. You are strong enough to power through and do this. You are not alone in this, friend. Choose wellness and radical self-care. Let me be real with you about this. It isn't easy. It is mentally challenging, physically challenging, and ultimately transformative. It's totally worth the challenges! There is a basic Whole30 Timeline that breaks down the different stages most people experience during their Whole30. 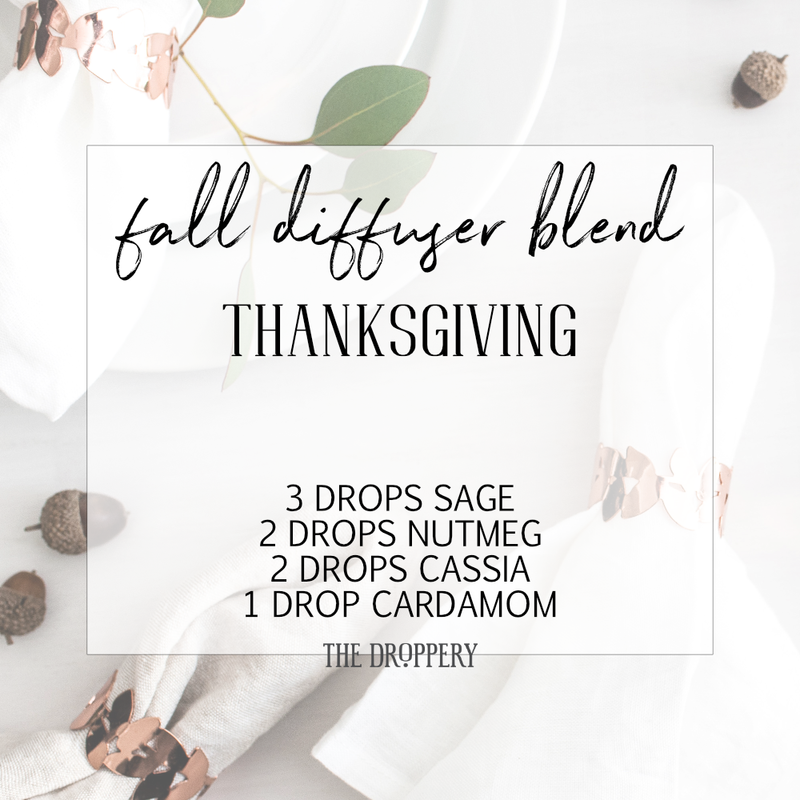 I thought it would be fun to make a diffuser recipe inspired by each stage to help get us through! So, don't mind the crazy names. If you click over to the Whole30 Timeline, they'll make a LOT more sense! Cheers to striving to feel your absolute best!